Exercises to enhance your personal development training. The first exercise is entitled. 'Her Majesty The Queen.' 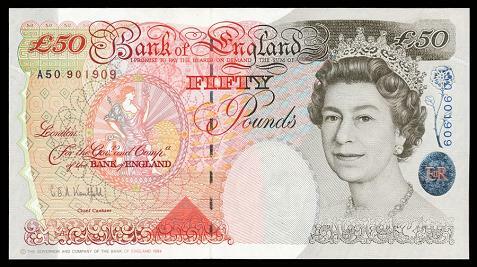 and is intended to familiarize the brain with the detail on the English twenty pound note and subsequently make it have a greater affinity with money. Yes, we all use banknotes on a daily basis but how often do we pay them any attention. Okay, lets see how advanced you are in the personal development process. Close your eyes. right, think of the twenty pound note or your country's equivelent. How much detail are you getting. Yes, the queens head, a tiara maybe, twenty? That's really good. No, In order to get the most from your personal development training you must retain far more detail. I'm looking at a twenty pound note right now, not the one on screen but a real one, since I devised this exercise my daily float, my spare cash of about fifty pounds or so as grown to over two hundred. Coincidence, maybe. 1. The chief cashiers signature, Mr Andrew Bailey. 2. The picture of a coin, bottom left. 3. The yellow dots, with a blue 'z' in them. 4. The silver foil ovals with the busts and 2o's in them, the laurel leaf. 5. The caligraphy used to write 'the bank of England' and 'twenty pounds'. 6. The graphics in the middle of the note. 8. The Queen, her tiara and a twenty. Sorry, you got that one. 9. Study the Queen's face, hair and jewellrey. 11. The group of number 20's, bottom right. Personal development training: There is still more detail you could add to my list but you get the general idea. When you've studied the note, close your eyes and visualize it, keep them closed and try and get as much detail as possible. Then open them and check your results. Keep repeating this process until you get ALL the detail. Come back to it day after day. 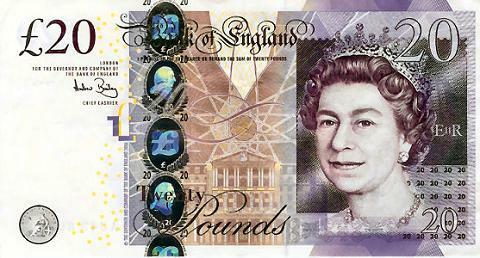 Do the same with the reverse of the note, it features a certain Mr Adam Smith. When you've totally got it you wont need the note any more you will simply be able to summon the image at will. It will even start appearing without you being conciously aware of it. Twist it round in your mind, pretend you are touching it, scrunching it up and straightening it out again, pretend you are thumbing through hundreds of these notes and see what happens. Wealthnugget4u:- Personal development training: If you like doodling then start drawing pound signs and dollar signs, it keeps your mind on the money. As you can see I've also featured a fifty pound note and a one hundred dollar bill for your personal development. I hope you enjoy memorizing them. Personal Development Training (Main Page) Personal Development Homepage.